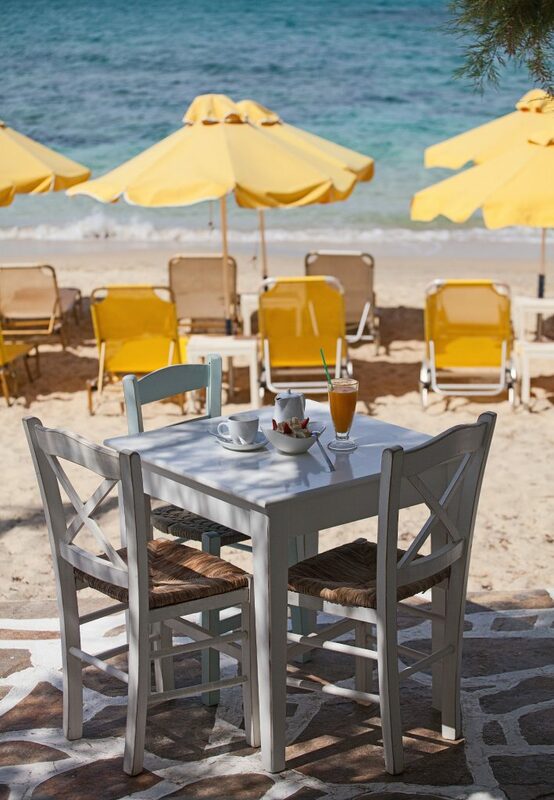 The dream of every traveler is to enjoy a meal by the sea. 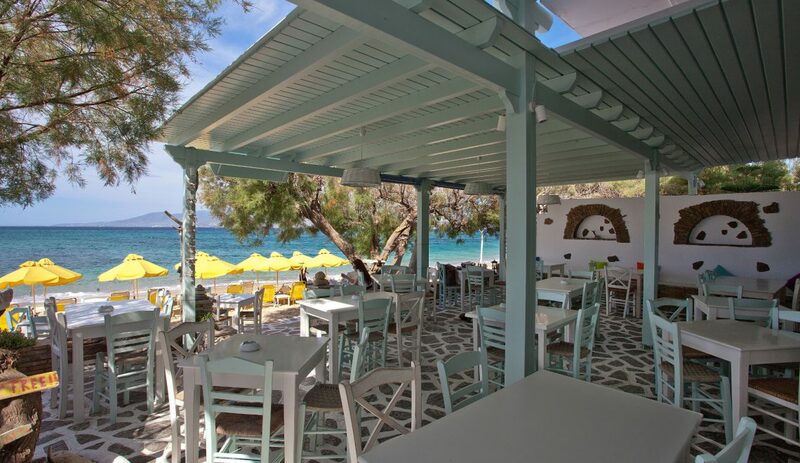 This “image” can be your experience, combined with excellent homemade food and low prices, at the tavern “Akrogiali” in Agia Anna. 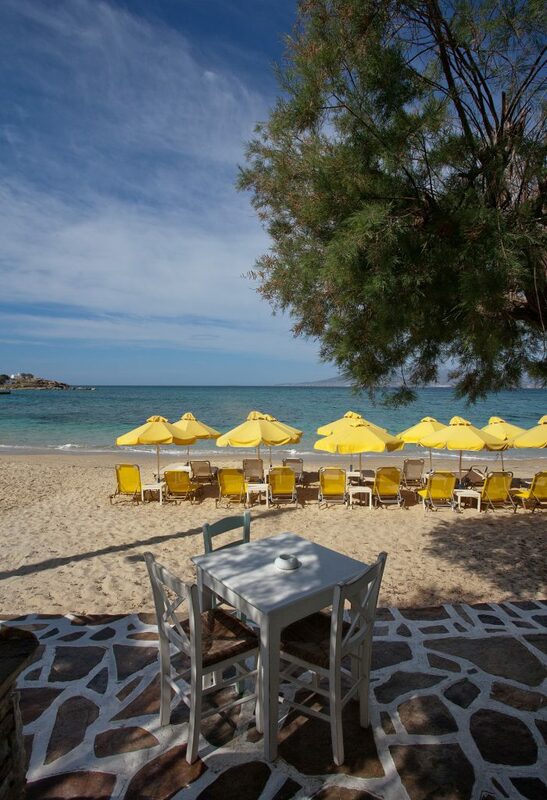 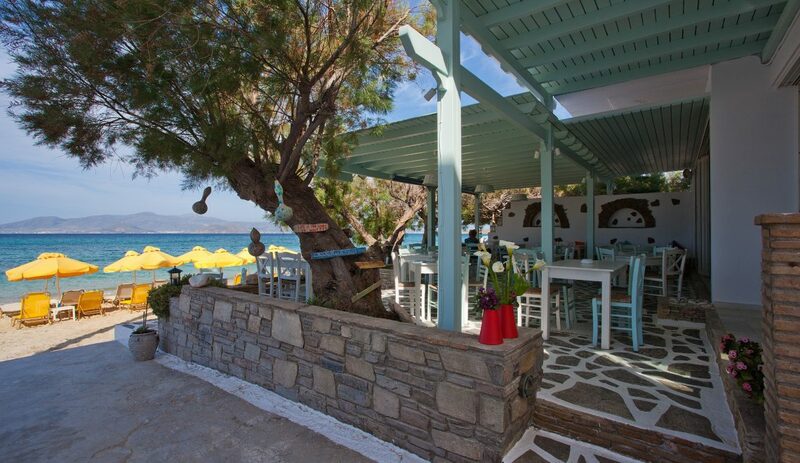 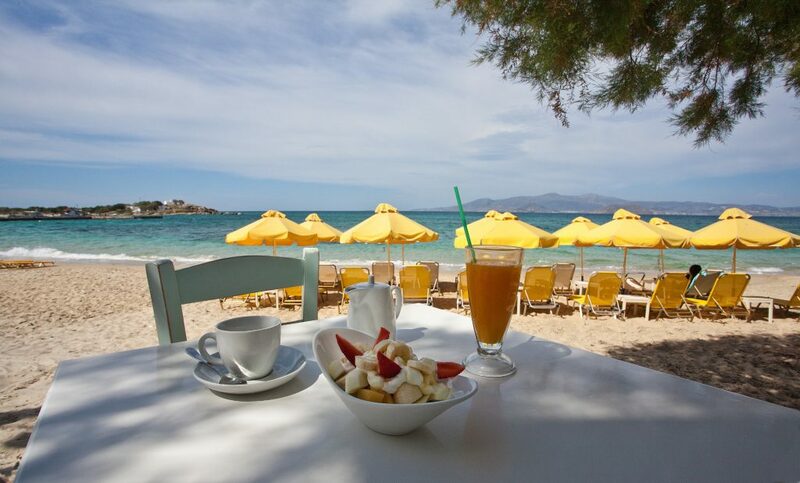 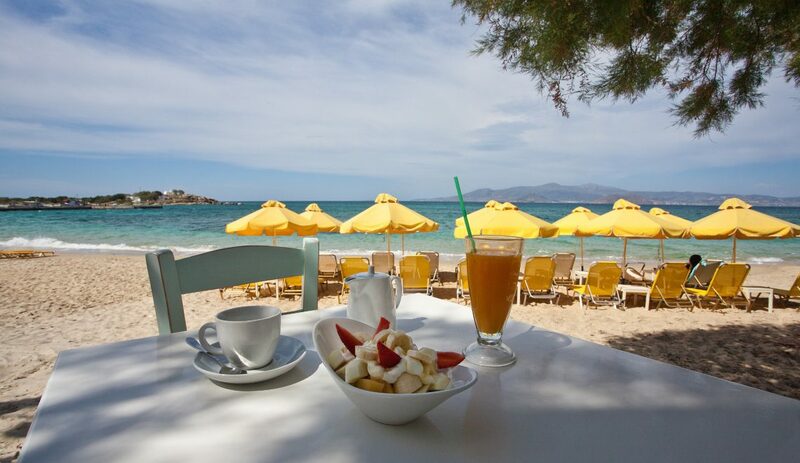 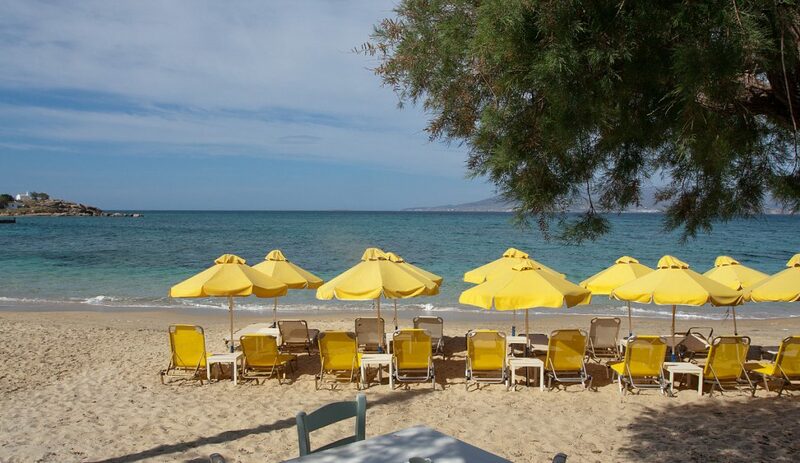 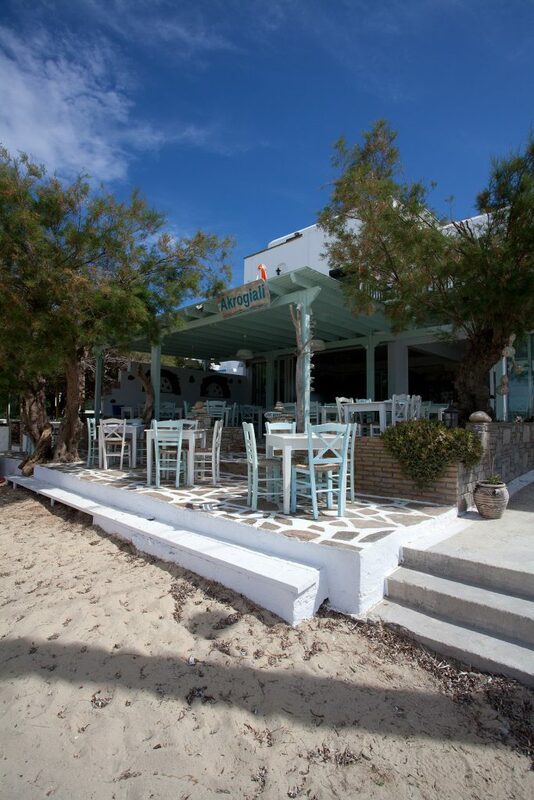 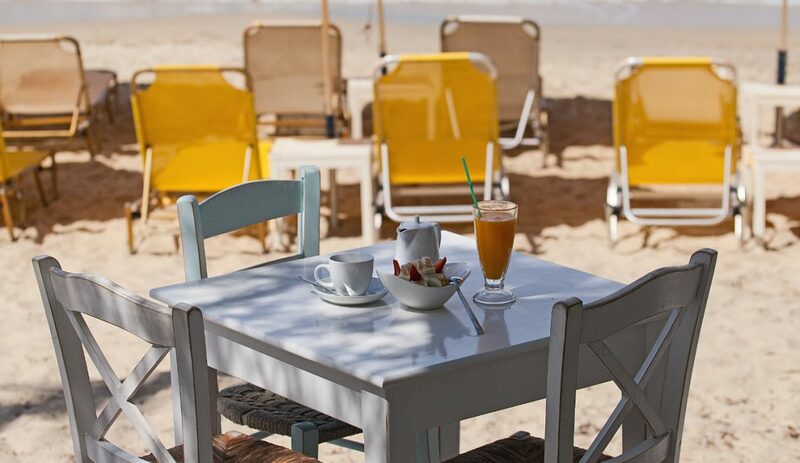 Our family restaurant, is located on the most popular, sandy beach of Naxos. 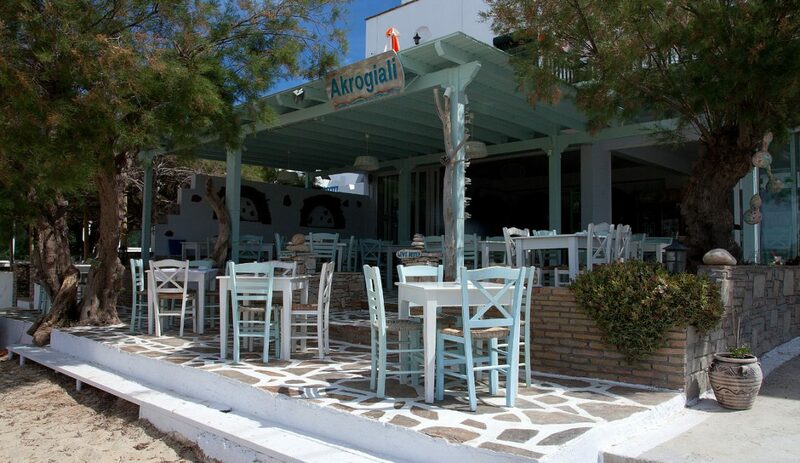 We take care with love each of the traditional dishes we offer to you, since 1985. 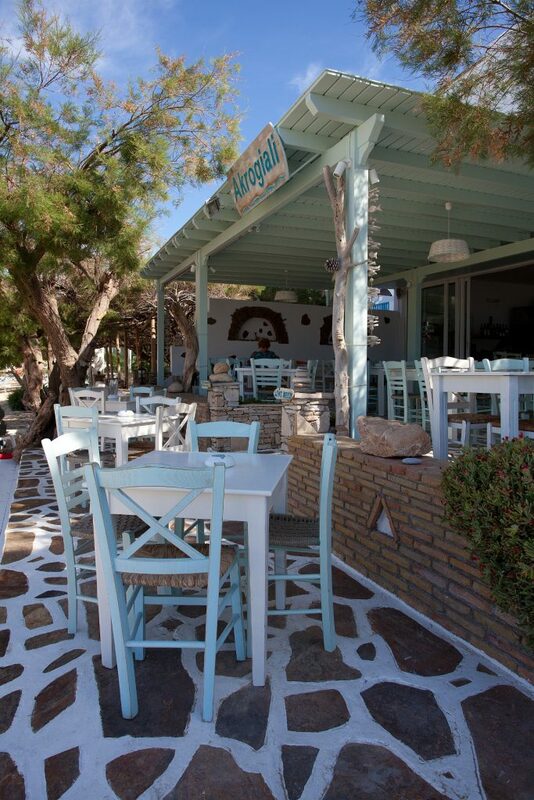 Your selection will be difficult between delicious local meat or fresh fish! 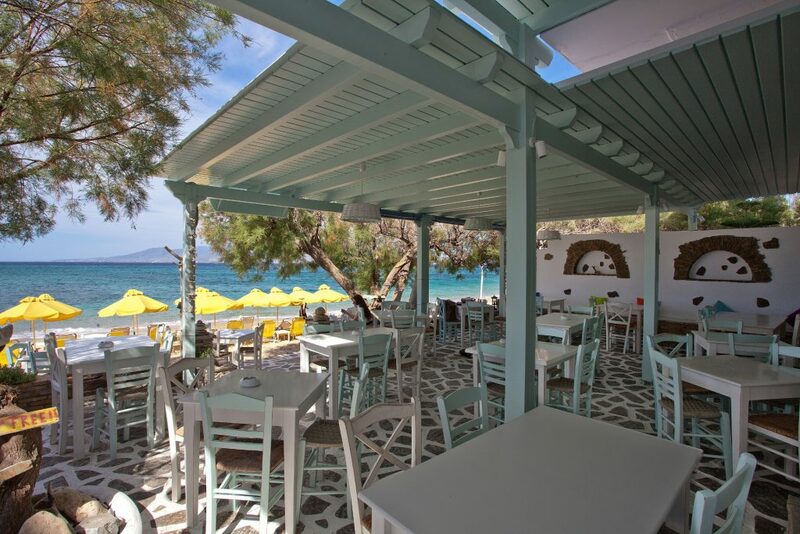 Who can resist to a beef burger stuffed with graviera, the famous cheese from Naxos, or to a plate of fried maridaki (small fish), grilled squid, or the beef stew? 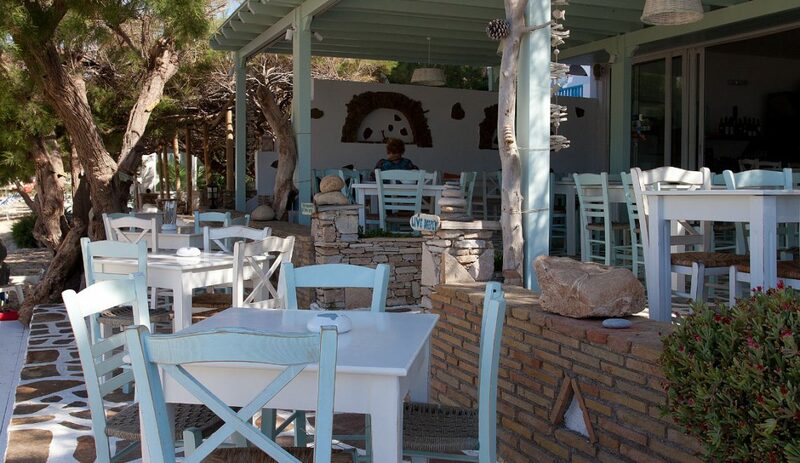 Of course, when you visit our tavern, don’t forget to order a fresh Greek salad with the famous ksinomizithra, the white Naxos cheese. 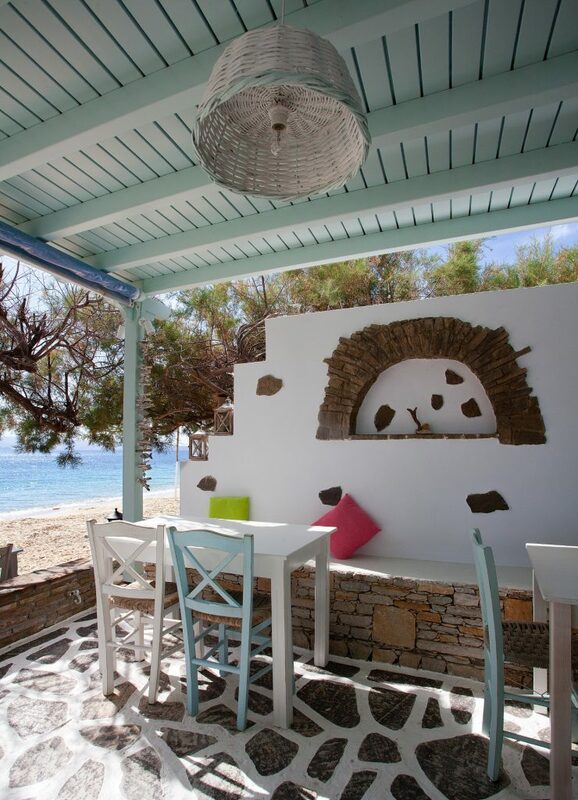 And of course, do not forget to try the local white and rose wine, from the villages of Naxos. 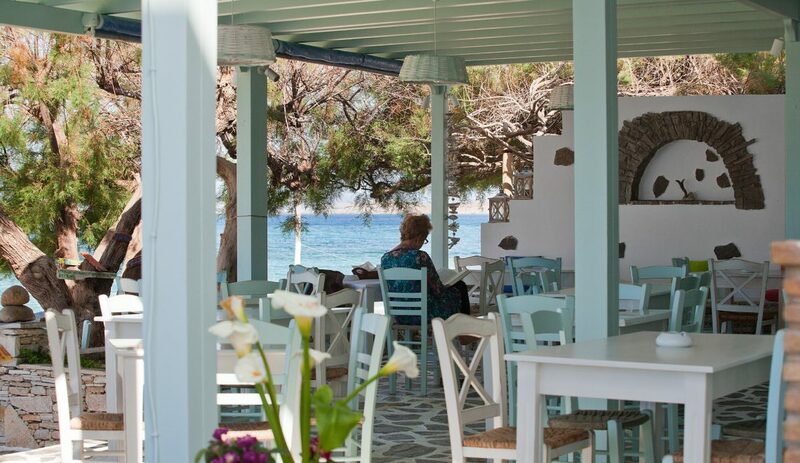 Our tavern, is open from 8 am to offer you an unforgettable breakfast, but throughout the day, except of your food, you can enjoy coffee, ice cream or homemade sweets, a little before or after a swim in the blue waters of the beach. 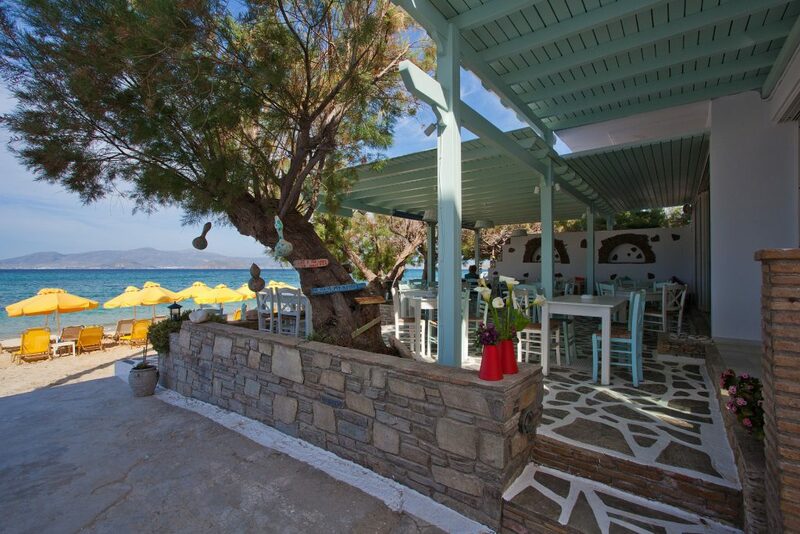 If you want to enjoy dinner and the spectacular view of the sunset, we recommend you call us, to arrange for your table. 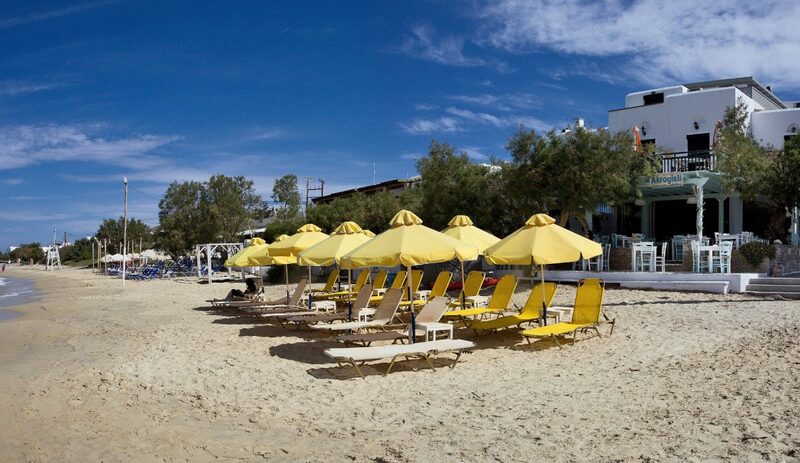 As for prices, it is certain that are of the lowest you will find on the island.